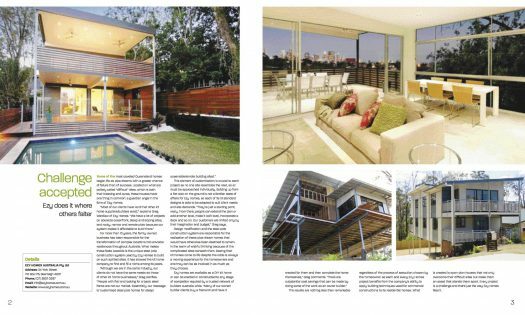 The upcoming issue of Build/Home Magazine includes a feature article on Ezy Homes. Here is a PDF sneak preview of the 2 page feature. This article will be appearing in the June issue available in Queensland and NSW. Phone or email Ezy Homes today, to discuss a custom steel pole home solution for your building site.